Contracting their verbs into mush? That’d make Noah Webster, like, blush. But I follow it to the letter. But other folks shoulda learned better. It may have only taken two years for Bill and Ted’s Excellent Adventure to get a sequel, but it took me at least a decade to finally catch up with their Bogus Journey. There’s something about the first film that’s so absurdly entertaining, so I wanted to believe that that creative lightning would strike again with the sequel. The first film had a goal specified early on, gathering historical figures so Bill (Alex Winter) and Ted (Keanu Reeves) don’t flunk history and ruin the future in the process. In this one, the plot rambles even more, as an ambitious baddie in the future (Joss Ackland) sends evil Bill and Ted robots back in time to kill the good Bill and Ted and pave the way for their master’s reign. I’ll just ignore how absurd the plan is and how the bad guy doesn’t seem to understand how altering the past works. The film’s original title was Bill and Ted Go to Hell, a fitting option as the plot veers away from sci-fi and pits the dimwitted duo against the Grim Reaper (white-faced William Sadler, unrecognizable compared with his roles in Shawshank or The Green Mile). Of course, it was fun revisiting Bill and Ted and their valley-guy nomenclature, with even a cameo from George Carlin, and Winter and Reeves fit these roles like two chuckleheaded gloves. I did get a kick out of the film’s reference to Ingmar Bergman’s The Seventh Seal and its game against Death (as well as the realization that this film surely inspired the cartoon series The Grim Adventures of Billy and Mandy). Yet for all its humor, I didn’t laugh very often, and the rampant silliness just didn’t quite match the “educated stupidity,” as I call it, of the first film. It’s telling when one film has “Excellent” in the title and the next one has “Bogus.” This sequel isn’t bad and even quite amusing with some quotable gems, but perhaps I need to see it a few more times before I can embrace its cult classic status. With the announcement of a long-awaited third film entitled Bill and Ted Face the Music, I’m hoping the next one will be better. These all made the struggle west what it was and the world what it would one day become. Experiencing a world unknown, a battle against oceans, forests, mountains, prairies, and selves. Zealous people who write them. Legends and monsters were once mere humans before hindsight made them less or more. The Coen brothers certainly know how to make a western. After pulling off the unlikely feat of a worthy remake of True Grit, they brought to life a diverse collection of short stories in this Netflix anthology film (which was apparently meant to be a series at first). Whether it be wagon-training on the Oregon Trail or discussing human nature in a potentially symbolic stagecoach, the Old West has rarely been so mythologized as it is here, painting a broad canvas of cheery gunfights, dark satire, and quiet desperation. Each of the six tales is unique and presented as installments of a short story collection; they feel authentic in that short story way, and indeed two of the segments are based off stories by Jack London and Stewart Edward White. 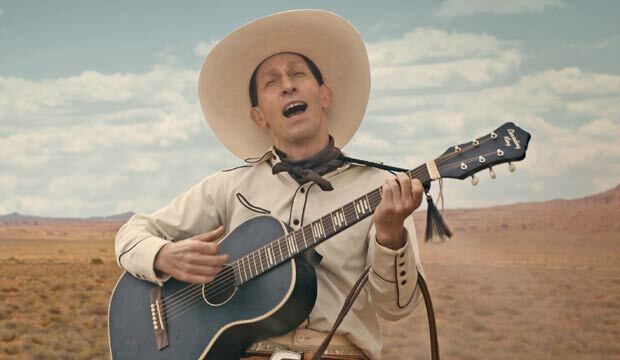 Tim Blake Nelson is probably the most memorable character as the titular Buster Scruggs, who revels in his gun-slinging superiority while crooning tunes and conversing with the audience. The lightness of this first story is deceiving, though, and the film isn’t afraid to be downright depressing. 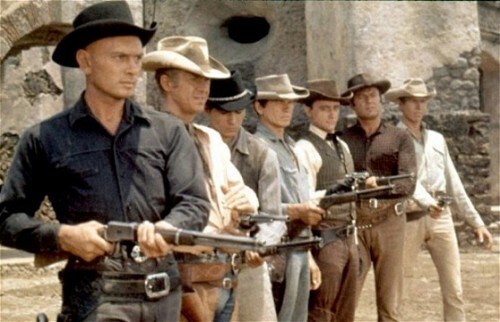 In fact, of the six yarns, only one has what could be considered a happy ending, but even the film’s sadder moments are punctuated by insightful and poignant themes, such as the selfishness of man or the rugged unfairness of this place called the Old West. Not all of the stories are equal, of course, the weakest being James Franco’s laconic bank robber tale, which seemed to exist solely for the sake of some last-minute, literal gallows humor. Everyone I’ve read seems to agree that the title of best (as well as longest) belongs to “The Girl Who Got Rattled,” an achingly realistic segment in which Zoe Kazan steps out of her usual roles and proves her skill as an actress. 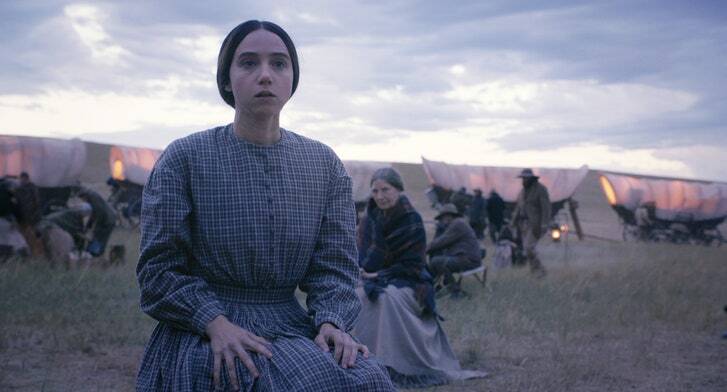 What I loved most about The Ballad of Buster Scruggs was its script. 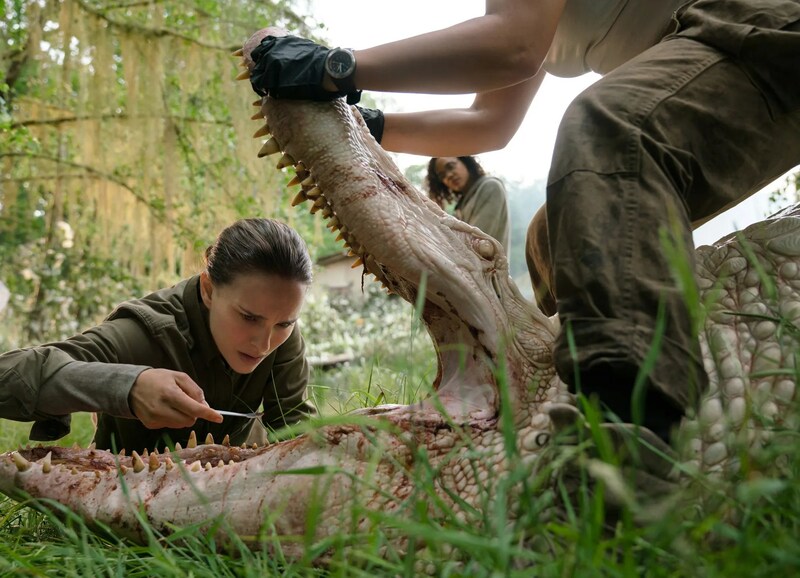 The dialogue, antiquated, eloquent, and clean, was a joy to listen to, and it’s proof positive that you just don’t need strong profanity for an Oscar-worthy script. 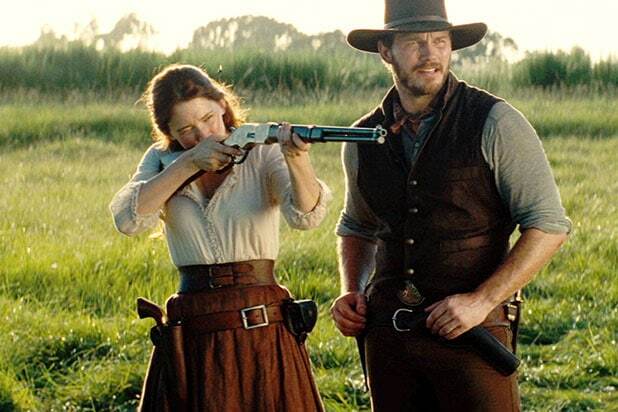 (Sadly, its screenplay was only nominated, along with Costume Design and the song “When a Cowboy Trades His Spurs for Wings.”) Unfortunately, it still earns its R-rating for the sometimes jarring gun violence (Buster Scruggs himself is the worst offender), but it’s still an uncommonly good member of a recently uncommon genre, full of gorgeous cinematography and seasoned thesps in all-too-brief roles, such as Nelson, Franco, Liam Neeson, Tom Waits, Brendan Gleeson, Tyne Daly, and Saul Rubinek. It’s a sign that the western genre is ripe for resurrection and that the Coens are perfect for the job. I grieve every day but don’t show it. None see it, of course, but I do. It’s deeper and yet no less true. My day with the lift of a lid. To which I agreed or was shamed. Hand-knitted with love in each thread. But now they are precious instead. Has left things of value behind. They moisten my heart and my mind. It was three years ago this very month that I reviewed Marjane Satrapi’s animated drama Persepolis as part of NaPoWriMo. That film was such a refreshingly unique experience that I knew I had to check out her next film, which, like Persepolis, was also based off her own graphic novel. Chicken with Plums may not be animated, but its similarity of style is equally praiseworthy, just on a far less consistent level than its predecessor. Told in French and set in 1950s Iran, Chicken with Plums is the story of a man who decides to die. After his critical wife (Maria de Medeiros) smashes his beloved violin, the famed concert pianist Nasser-Ali (Mathieu Amalric) loses his will to live, lying in bed awaiting death and dreaming of the past and future. The narrative is far from linear, interspersed with subjective thoughts of how his children will grow up, memories of his success, and bizarre fantasies (hugging a giant pair of breasts, for example). It’s a weird mix as the tone swings wildly from obnoxious slapstick to pensive reminiscences, and not all of it works. However, what does work is outstanding, at least on a visual level. The settings and overall aesthetic have the dated, magical aura of yesteryear, with a carefully crafted artistry that I could compare to that of Wes Anderson if he had half the idiosyncrasies. Satrapi’s vision of 1950s Iran oddly has the look and feel of Europe, reminding us how western-leaning the nation was before the Revolution, as detailed in Persepolis. And the acting is certainly on point, with Amalric of The Diving Bell and the Butterfly fame once more proving his thespian skill. I wasn’t quite sure what to make of Chicken with Plums up until the ending, where the story takes a sublimely bittersweet turn that is crushing in its emotional resonance. It’s a rare and beautiful melancholy replete with the story’s themes of music, heartache, and loss; it may not quite fit with many parts of the film but still ended it on a high note of poignancy. So hated and feared by mankind. From the men who wince under my roar. A monster by nature designed. Flown higher than humans would dare. And escaped with my prize in a whirl. Has taken her back to his lair. Of a feeling confronting my power. Offers something I cannot subdue. It’s rare that a film feels like a fairy tale, not just a Hollywood version of one but an original fairy tale with its roots firmly planted in romance and the fantasy culture of a nation. In the case of I Am Dragon (or He’s a Dragon), that nation is Russia. Based on the Russian novel The Ritual, the result is a film that tows the line between epic and sappy but is beautifully mounted and appealingly dignified compared with what I imagine a Hollywood version might look like. A prologue explains how a dragon once terrorized a medieval village, carrying away the innocent maidens offered to him as sacrifices until the day a hero slew the beast. Fast forward then to the arranged wedding of free-spirited Princess Miroslava (Maria Poezzhaeva), or Mira, who is none too thrilled with her appointed husband. In a case of unwise history-rebranding, someone thought it would be a good idea to use the old dragon-summoning song during the ceremony, and everyone is shocked when the dragon reappears to carry Mira away. Mira soon awakens on the dragon’s remote island lair, where a handsome young man she names Arman (Matvey Lykov) proves to be a charming but conflicted host. I won’t say any “spoilers” outright, but as you can probably surmise from my description, this is like a Russian version of Beauty and the Beast, with some very clear echoes to the Disney version of events. 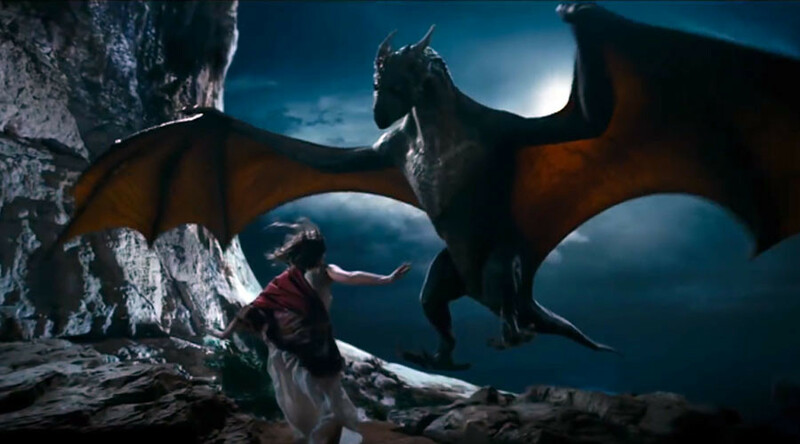 However, with a dragon taking the place of the Beast and an almost Game of Thrones-style aesthetic, it’s a successful variation of the familiar tale, which is also leagues better than Disney’s cringe-worthy live-action version. It really depends on your capacity for potentially mawkish love stories, but for me, I Am Dragon had enough high fantasy to outweigh the few corny moments, and the romance was still engaging and carried weight while thankfully keeping things PG for the most part. I’m glad to have stumbled upon this admirable fantasy, which makes me think that little-known Russian cinema can hold its own against Hollywood’s more publicized output. Or else I trigger tantrum rage. But some obsess until I’m done. I thrive on zeal and happenstance. But some derive from me their worth. Comedies have always been hit or miss, but modern comedy seems to have a lot more misses for me, partly because humor is subjective, but also because all the R-rated content usually gets in the way of the fun. Game Night isn’t immune to that, but its twisty plot and dark humor were engaging enough for me to look past its faults and thoroughly enjoy it. Maybe my own love of games is a reason; my family has a game night every Christmas Eve, so I know the appeal of a table-top competition. I’m not quite as competitive, though, as Jason Bateman’s Max or Rachel McAdams’ Annie, whose mutual love of games brings them together. Now as a married couple trying to conceive, they host regular game nights with their friends until Max’s shady brother Brooks (Kyle Chandler, who sounds oddly like Michael Douglas in this movie) tries to spice things up with an elaborate role-playing mystery involving kidnapping and clues. But the players don’t realize soon enough that the threats and twists are actually real. The cast is also great, with McAdams at her most effortlessly attractive and Bateman brimming with dry sarcasm; Jesse Plemons also makes an impression as their creepy policeman neighbor, who acts like a serial killer most of the time. Oh, and I got a real kick out of a couple jokes about Panera Bread, since I used to work there, and I can confirm that the membership card shown in the film is totally fake. While I wish it had been brought down to PG-13 level, Game Night is a great source of fun that is worth playing over and over. Because I have the nerve to keep them barred. You think I’m cruel and callous to my core? The foes who’d shoot you dead at second glance! Because it kills a citizen or two. For you to come insinuate I’m wrong! I saw A Few Good Men when I was much younger, and since then have only caught the last thirty minutes or so on TV a few times, which is the best part anyway. Over time, it’s stuck in my mind as a largely boring courtroom drama that ramps up to become truly great during those last thirty minutes. My dear Viewing Companion (VC) has tried to challenge that opinion, but only recently convinced me to watch the full movie again, and I’m glad she did. 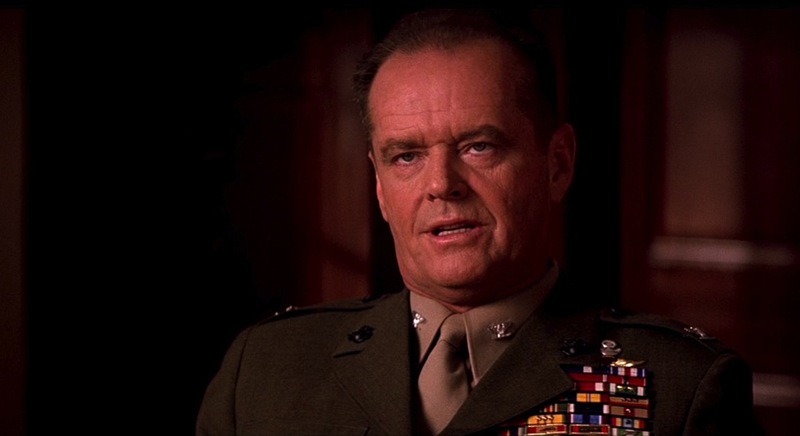 Directed by Rob Reiner, A Few Good Men has a good case for being the greatest of military courtroom dramas. Scrappy but inexperienced Navy lawyer Daniel Kaffee (Tom Cruise) is chosen for a case that his superiors would like to forget: the court-martial of two Guantanamo Bay Marines (Wolfgang Bodison, James Marshall) who killed one of their fellow soldiers in what many suspect to have been a “Code Red,” an illegal punishment carried out within a unit. The higher-ups, including Colonel Nathan R. Jessup, insist the Code Red isn’t true, but Kaffee, with some prodding by a fellow officer (Demi Moore), takes a chance to prove the unprovable. Aaron Sorkin’s first foray into scriptwriting (based on his play from three years earlier) highlights what makes him such a great writer. The dialogue is often exchanged at such a rapid pace that you may or may not grasp everything said but you certainly appreciate the refreshing eloquence and intelligence behind it. It also helps to have it delivered by someone with the charisma of a young Tom Cruise or the intensity of a surly Jack Nicholson, who got a deserving Oscar nomination. As I said, the last thirty minutes feature some exceptional performances along with the iconic lines and courtroom fireworks, but what comes before wasn’t as dry as I recalled. I do see why I thought that. I was a kid at the time, and most of the legal and military jargon, the chain of command and such, just flew over my head. I just needed to be older to fully appreciate them. I’m still conflicted on my ranking, though. The truth is that legal dramas just aren’t one of my favorite genres, even one as first-rate as this. Off-hand, I can’t think of one on my Top 365 List, with the exception of To Kill a Mockingbird. (Does Kramer vs. Kramer count?) However, revisiting A Few Good Men has given me enough pause to consider it List-Worthy, for now at least. It’s always nice and all too uncommon that a film is better than you remember. The language of dogs is a curious tongue. It cannot be written and cannot be sung. A “bark” isn’t something that grows from a tree. A “yelp” doesn’t reference a restaurant review. And woof, yap, and yip have no clear homonym. So when your dog says them, you’ll have to ask him. A Wes Anderson expert I am not, but I could tell from the two films of his that I’d seen in full (Rushmore and Fantastic Mr. Fox) that he’s an acquired taste I wasn’t sure I cared to acquire. It’s hard to compare the works of this king of quirk with more traditional cinematic style, but Isle of Dogs has an enjoyably straightforward plot couched among Anderson’s typical flashbacks, symmetrical designs, and camera-facing monologues. First of all, I love the play on words with Isle of Dogs sounding like “I love dogs” (by the way, that’s the name of an actual district in London), and indeed a love of dogs plays a big part in the movie. In a near-future Japan, an outbreak of disease has led to all dogs of Megasaki City being quarantined on a nearby island. A young boy named Atari, the ward of the dog-hating mayor, goes there in search of his own dog and journeys with a colorful band of alpha dogs, with nation-changing results. One thing I can definitely say for Isle of Dogs and all of Anderson’s films is that they’re clearly labors of love. Stop-motion animation takes unparalleled patience and attention to detail, and the animation quality and fluidity rival that of Laika (the gold standard studio for stop-motion, see Kubo and the Two Strings, Coraline, etc. ), with set design made even more laudable by its miniature size. On top of that, the storyline, broken into chapters like a storybook, is buoyed by the bond between Atari and man’s best friend, finding surprising sweetness alongside the not-too-distracting idiosyncrasies. Something my VC didn’t care for was how the dogs speak English but the language of the Japanese characters is not rendered in English, though it often is translated through electronic or human means. I took it as simply a creative choice, which worked best with Atari’s interactions with the dogs, since we never know how much dogs actually understand our words. Because of this, the dogs get the bulk of the dialogue, and Anderson collected an outstanding voice cast, including Bill Murray, Bryan Cranston, Jeff Goldblum, Edward Norton, Scarlett Johansson, Liev Schreiber, and even a cameo from Yoko Ono. Isle of Dogs is a little more mature than most animated films these days, with some darker-than-expected story elements, some of which are relieved by the droll humor and a clever twist or two. But for older kids, dog lovers, and fans of stop-motion, Isle of Dogs is an unconventional treat and certainly the best Wes Anderson film I’ve seen. Maybe next he’ll do a Christmas spin-off called Yule of Dogs.